Those of you who know me know that I am particularly interested in family law. Through my experiences learning about and observing the practice of family law, I have become convinced that our adversarial system is, more often than not, a poor way to resolve divorce. This is especially true where children are in the picture. So what’s the alternative? I don’t know, but I did learn about a relatively new process that was created to avoid litigation in these cases called Collaborative Divorce (CD). The CD process involves both parties to the divorce voluntarily signing a contract called a “Participation Agreement”. The participation agreement states that each party agrees to work toward a negotiated resolution and will not litigate the case. To me, it sounded like a good possible solution for people who don’t want to be dragged into litigation. But, the more I looked into CD, the more I realized it couldn’t be for everyone (or even most individuals) who are going through a divorce. As part of the CD agreement, the parties must each hire a lawyer. In the event a negotiated settlement falls through and either party chooses or is forced to litigate the case, both parties must fire their lawyers and hire new lawyers to litigate the case. The idea behind this is that it creates additional incentive for people to come to a resolution; both because having to practically start over from scratch with a new lawyer can be very expensive and stressful/time-consuming. The CD process also involves each party retaining a CD “coach” or “mentor”, typically a licensed therapist, to help him or her through emotional and other non-legal issues while going through the divorce. If there is a significant estate, the parties will also retain a financial expert to help with issues of property division and/or support. Finally, if there are children, the parties will also have to retain an therapist/advocate for the child(ren) (similar to a guardian ad litem in a traditional litigated case). The CD model calls for a series of meetings between the parties, their attorneys, and sometimes the coaches/therapists, with a free-exchange of financial and other information, negating the need for discovery. In theory, CD might be very beneficial, and it seems like a far better way to handle a divorce case than the traditional way. However, between two (or four) lawyers, coaches/therapists for each party, financial experts, and advocates for the children, it makes an already expensive process potentially even more so, and I wonder if the average person could afford the process even if he or she desired a Collaborative Divorce. I plan to practice CD in the future and to see for myself. In the meantime, I’ll keep searching for an alternative to the traditional adversarial divorce. I’ll let you know when I find it or if I’m able to invent it myself! I’m guessing this CD will work for a certain type of household, probably both working full-time and higher education levels. In general, I tend to think if two people can coordinate this with the attorneys, mental health professionals, financial professionals as well as their own schedules, they probably have their act together and probably don’t need to divorce but just keep the household clicking along like it is…. Sounds like an interesting idea, though. 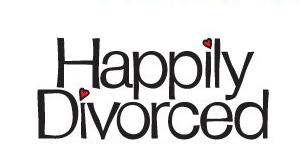 I represent numerous clients in uncontested and contested divorces. I’ve always been interested in collaborative divorce, and I have colleagues who do it, but it is often unsuccessful. I frequently advise clients interested in CD to simply try negotiating a settlement on their own. This avoids expense, and, where there is still some trust remaining, it often works. Further, simply following the traditional adversarial approach and attempting to mediate the case prior to trial is very similar to and cheaper than CD. I started the Collaborative Process in Minnesota in July 2012. It has been Collaborative in name only. This divorce has been run like an adversarial process without the option to litigate. My ex did not want to use a Neutral Coach. It cost money. My attorney, who is a properly trained Collaborative Divorce attorney agreed to work with my ex husband’s attorney who is not properly trained, but who says she has handled Collaborative cases. She and my ex took an adversarial stance, starting with their opening “offer”. That’s where it went off in the ditch. She was not properly trained to handle a Collaborative case. The decree was signed and entered on July 9. When I received my certified copy in the mail, it was full of mistakes that any judge should have caught. The most significant being, that the portion of my ex-husband’s IRA I was supposed to get was left out of my property settlement section. My son’s name was mysteriously absent from the child support section. There are more…In any divorce, an amended decree would be filed. Not in this case. My ex husband refuses to sign an amended decree and it looks like his “Collaborative” attorney is following his lead. My attorney is flabbergasted because this is something any judge would approve. My husband stands to gain a significant amount of money (or not lose) if I back down and walk away from the IRA money. This has very little to do with dual income households, education, and those who can juggle a busy schedule. My ex and I are both college educated, have two busy children, and we both work full-time outside the home. This process works for those who are fully committed to it and are emotionally ready to walk away from the marriage with the mind set that it should end with dignity, not character assassination. Our legal bills are close to or already in excess of $70,000. We have no business squandering that much money on legal bills, given our net worth. This process does have merit. It takes two committed and emotionally mature people to make it happen, though. It also takes two highly educated and properly trained attorneys with the right mind set themselves to being it all together. Their clients will, no matter the resolve, wander off the high road, at times. Two attorneys who trust each other and know how to guide the process, will bring the divorcing spouses back to the main road to reach their destination and live to tell about it. If there is a significant estate, the parties will also retain a financial expert to help with issues of property division and support.